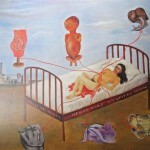 Take your time to explore large-scale retrospective exhibition of famous Mexican artist Frida Kahlo. New exhibition brings together 34 paintings and drawings of the artist. Discover more than a hundred of photographs covering different periods of Frida Kahlo’s life and Mexican folk costumes similar to those the artist loved to wear. 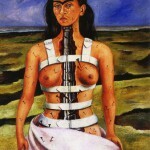 On public display in the Faberge Museum this amazing exhibition comprises all artworks available for exposure them outside of their homeland today including the most famous painting of Frida Kahlo ‘The Broken Column’ ,’Henry Ford Hospital’ and much celebrated by herself 'Portrait of Dona Rosita Morii'. 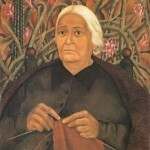 These exhibits are parts of Dolores Olmedo museum and private collection of Avril Juan Coronel Rivera, the grandson of Diego Rivera. The exhibition works in accordance with the schedule of the Museum. 21, Fontanka River Embankment, St. Peterburg, Russia.